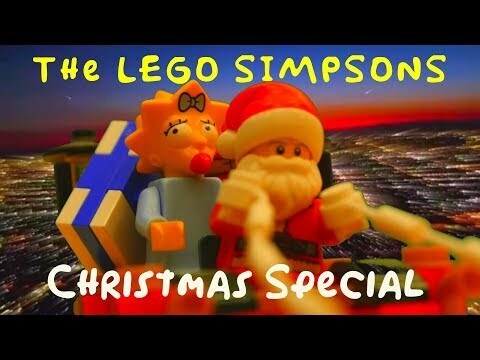 The Lego Simpson Christmas special. Here is a funny short Lego Movie about Simpsons, the Santa Claus' workshop and his sleigh . Look at how the simpson kids dream of santa claus on the night of Christmas Eve and how they would like to climb on Santa's sleigh. Find out what's happening on Christmas morning at Simpsons Lego House. Enjoy our new xmas special brickfilm with more than 8000 photos taken to our lego city. Listen to the original soundtrack with Christmas songs and nursery rhymes.